Since the school’s founding in 1911, the Arts have held a special place at Ojai Valley School. Founder Edward Yeomans envisioned a school where students could pursue artistic expression alongside traditional studies in mathematics, science, and history. That tradition continues today. In the middle school, students participate in the performing arts and take classes in music, fine art, and woodshop. They learn about the great artists and musicians from the past, and enjoy field trips to museums in the region. Students participate in various stage productions, music recitals, and concerts in our 480-seat Greenberg Activities Center. Students can learn how to run the lights, how to design and build a set, be part of the orchestra, or even be a star on stage. The Fine Arts program seeks to give students a well-balanced education in various art disciplines. We offer an introduction to basic skills in the primary grades, and progressively build on that foundation through elementary and middle school. Throughout the year students are given the opportunity to explore various mediums, including printmaking, drawing, oil pastel, charcoal, pen and ink, painting, ceramics, watercolor, and paper mache. These traditional mediums are accompanied by a growing number of opportunities in the digital art mediums, including digital photography, mixed media, and online research. The art room on campus has been recently updated with a digital projector and digital drawing pad. These exciting additions are used to explore examples of art throughout history and culture. Primary and elementary students visit the art room once a week for 40-minute classes in which they are introduced to new concepts, artwork, and artists. Middle schoolers spend 3 days per week in Fine Arts and Woodworking for one semester, spending the other semester in the Makers Space and technology lab. Students have the opportunity to create their own art, and are given the chance to observe and reflect on the work of fellow students, fine artists, and themselves. The art room is a place where students grow, flourish, and develop their own understandings of the world around them through the eyes of an artist. Each student is encouraged to explore his or her own artistic process using various techniques, while working in classroom community that emphasizes positive support for each other. Woodshop is part of the fine arts program and has been for more than a century. Founder Edward Yeomans believed students should learn to measure, build, and craft projects with their hands. Today Middle School students complete finely constructed projects that may include small shelves, chest-style boxes, skateboards, name placards, clocks, and interactive toys. Sixth-grade students design and build a coat rack. The personalized shapes are cut from full-sized paper drawings and transferred onto wood. 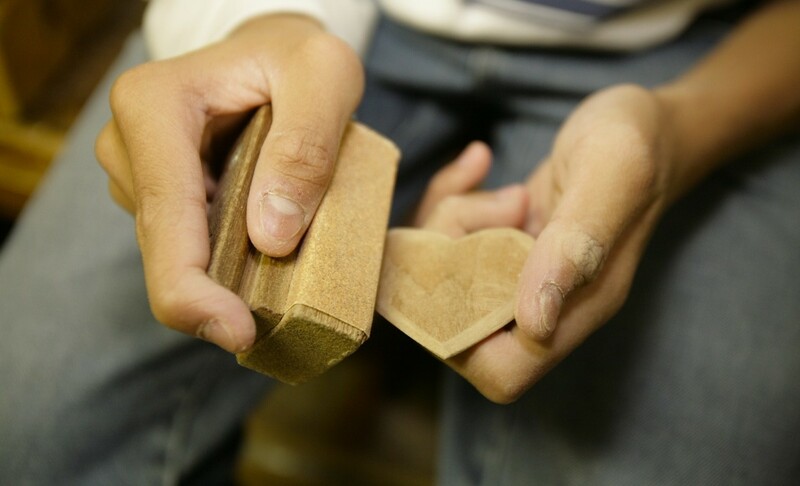 Shapes are cut out and individualized artistic finishes are applied after shaping and sanding is completed. Drilling for the installation of pegs completes the project. Seventh-grade students are challenged to construct individual boxes that include a lid made of seven separate pieces. This construction challenge requires following precise instructions in a sequential step-by-step order. Work steps are carefully examined for accuracy and precision and a final shaping and sanding to round the contours of the lid completes construction. As a final touch, the box is varnished and hinges are installed. In the eighth-grade, students build a skateboard, step stool, or side table. Students cut out their project parts using scroll saws or a jig saw. Rasping, sanding, and assembly using glue, nails, and screws complete the construction of a wooden stool or table. Both skateboards and stools or tables are hand decorated with personal designs and varnished. Students may use power tools such as the scroll saw, jig saw, and band saw. Classroom safety instructions and some individual written and practical safety tests help insure that students learn to operate tools safely and accurately. Ethnomusicology is also part of the program. From New Zealand Maoris to local Chumash, OVS students explore musical traditions from all around the globe and discover a multicultural sphere of music. The Barbara Smith Grant, generously funded by an OVS alumna, brings exciting world music performances to campus each year and supports the needs of our performing arts department. Middle school students participate in various ensembles as part of their performing arts requirement in grades six to eight. Students join ensembles, including the OVS Orchestra, Chorus, Garage Band, and String Ensemble. Rehearsal times are built into the weekly schedule and many participants also take individual lessons on campus to sharpen their playing skills. Students have the opportunity to showcase their talents at evening recitals held throughout the year. 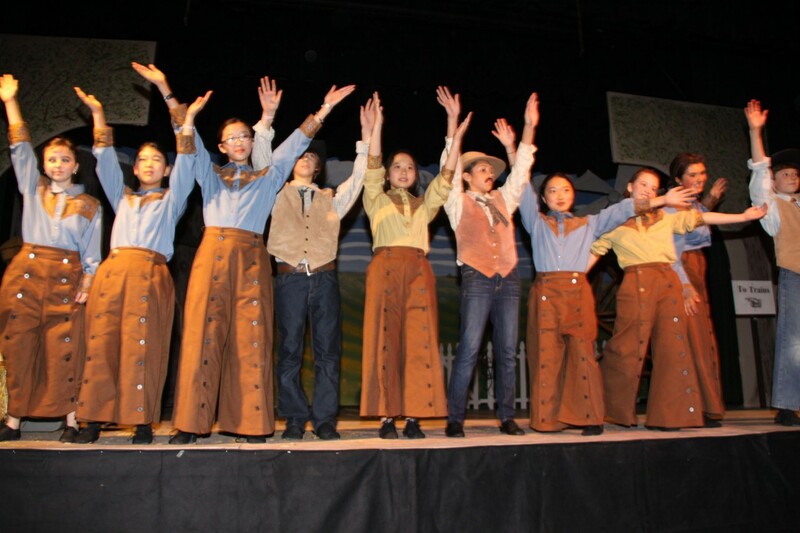 In the spring, the middle school students are invited to participate in the Spring Musical. 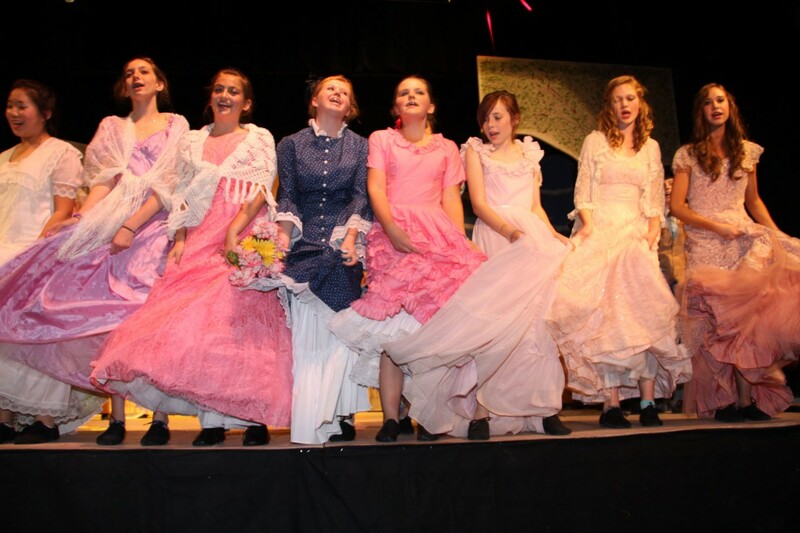 In recent years our students have performed classic shows such as Oklahoma, My Fair Lady, and South Pacific. Middle school students are required to attend at least one professional arts performance during the academic year. Options include attending performances by symphony orchestras or dance troupes in the region. Students can also participate in after-school music lessons with professional instructors who share their musical talents with students on an individual basis.